But all was not lost! 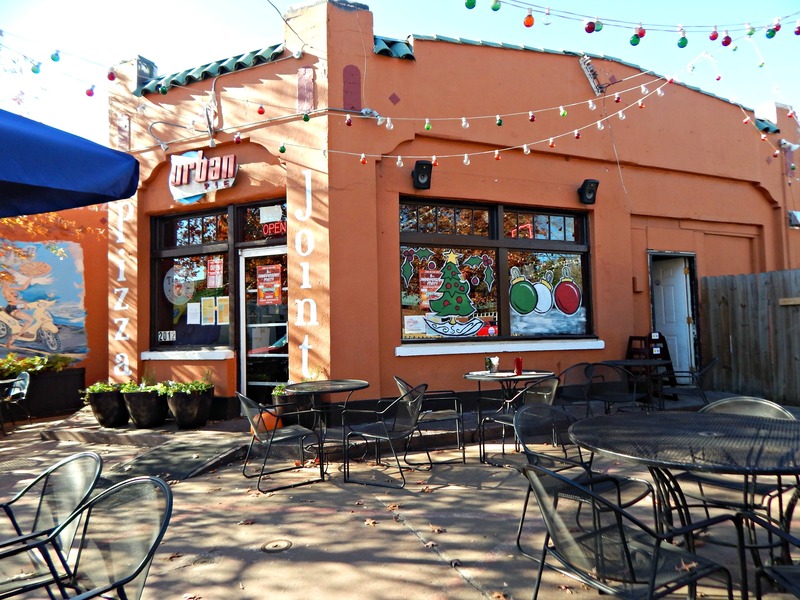 When we asked where else was good to eat, they pointed us two doors down to the pizza joint Urban Pie. We got their garden variety pizza with Daiya. 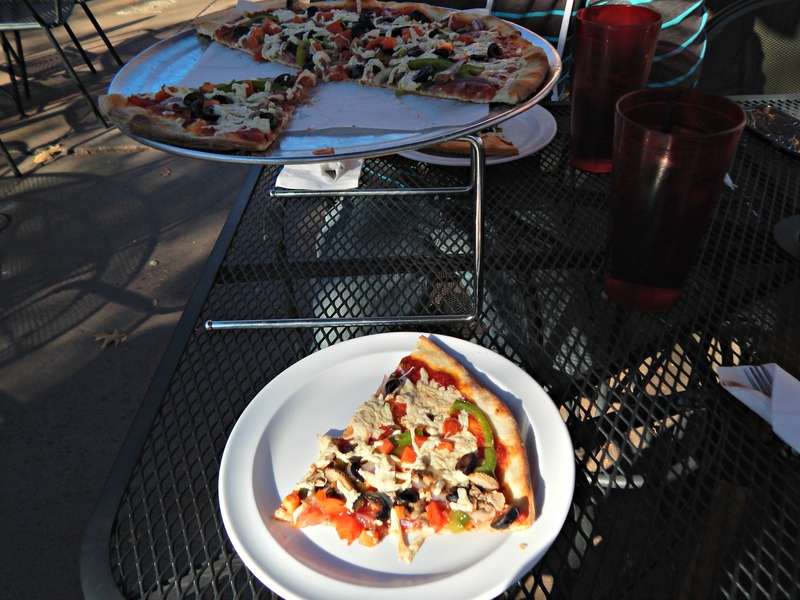 It was great, with a thin crispy crust and loads of veggies. 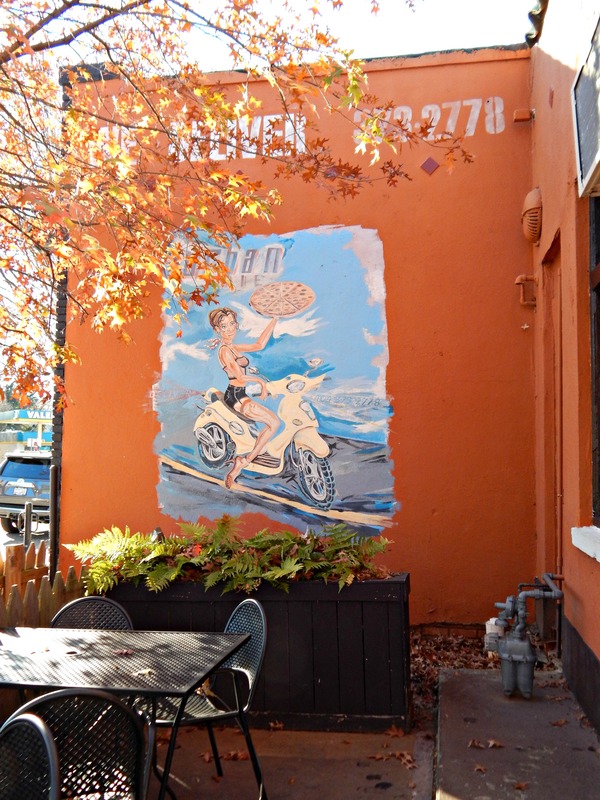 It made the meal even better that the weather was nice enough that we could sit outside. 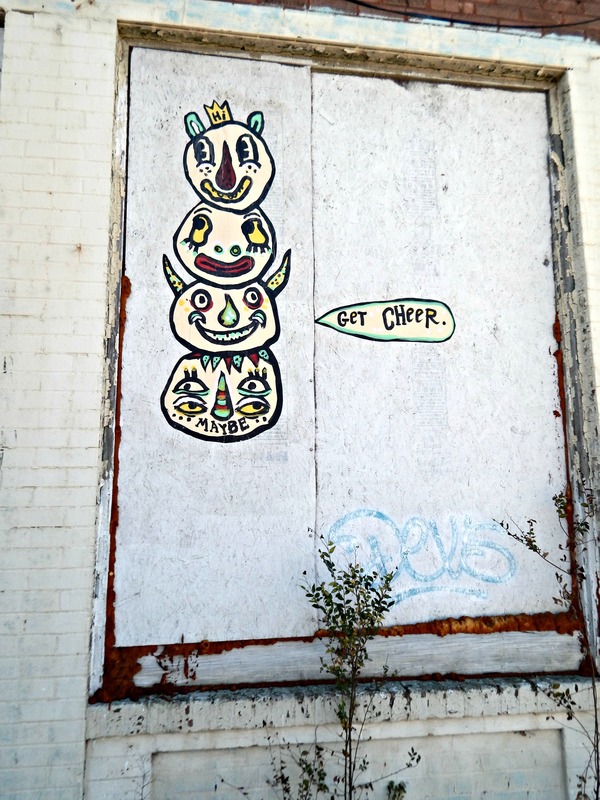 After lunch, we wandered around some of the shops in the funkier part of Atlanta. 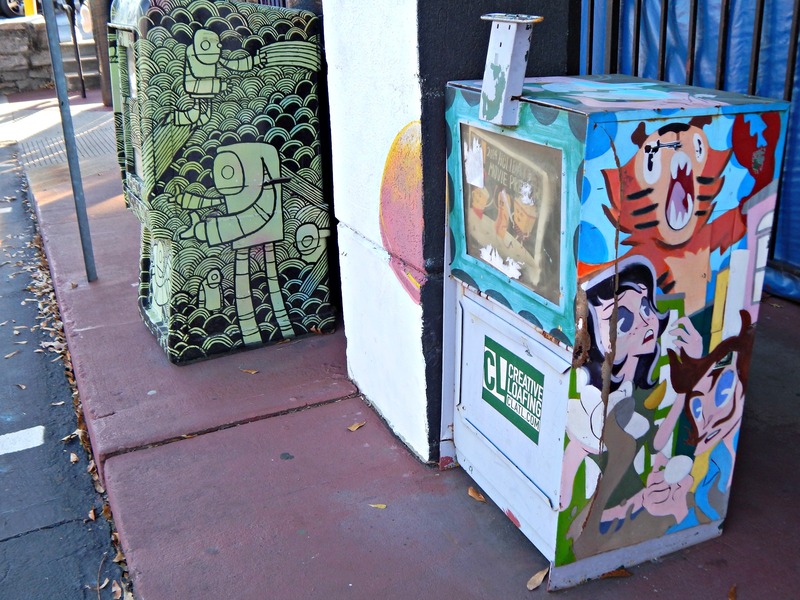 This included the highly intriguing Junkman’s Daughter store. 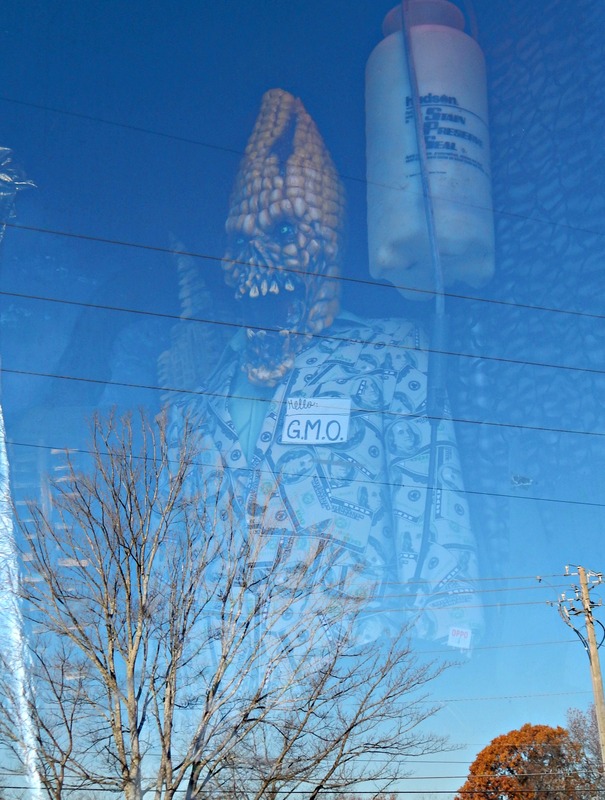 My favorite of their window displays was the mutant corn man whose name tag read “Hello, my name is GMO”. 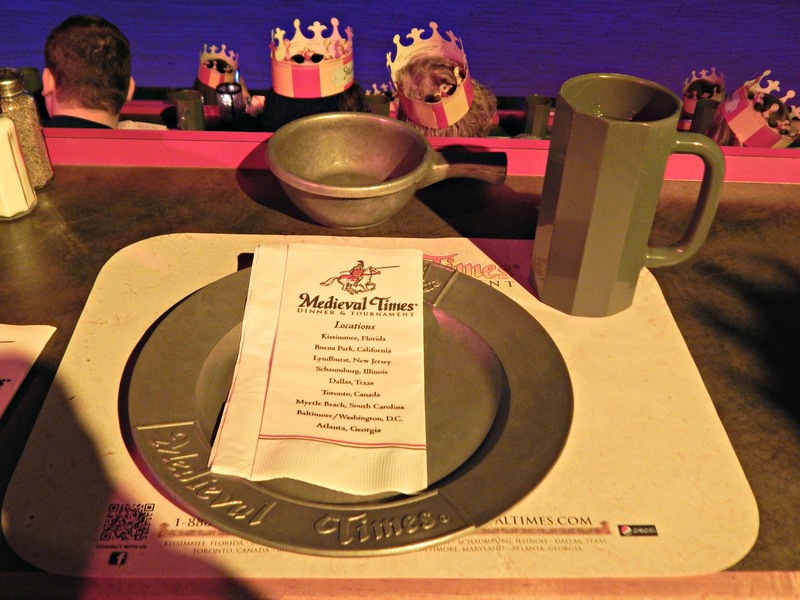 For that evening’s entertainment, we attended the Medieval Times show. I’m happy to say their vegetarian meal (which you choose when ordering your tickets) is entirely vegan! The arena was dark, so I took a picture of the table setting before the lights dimmed. The meal was three courses. The appetizer was tomato soup and hummus with veggies and pita bread. The main course was a stew with brown rice, beans, and a vegetable-rich tomato sauce. Dessert was a cinnamon apple turnover (Peter’s included a birthday candle). Peter had a great birthday trip to Atlanta and we happily went back home with crowns on our head and bellies full of veggie food.